Why should kids have all the fun? 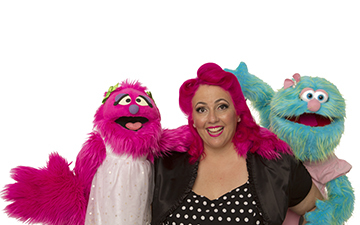 If you’re looking for unique party ideas for grown ups, Larrikin Puppets also perform fun puppet shows for the child at heart! Suitable for everyone, but with humour and references that might appeal more to those over 18. The puppet show is 30 minutes of songs, games, jokes, skits and comical interaction with the audience – performed in the puppetry style of Sesame Street and The Muppets. This is followed by an additional demonstration about how all the puppets work. People love being asked to come up and help us perform a couple of the puppets. Always great for a laugh from the rest of the audience. Then we do a brief meet-and-greet where people have an opportunity to have their photo (or selfie) taken with Troggg, our wise cracking blue monster star. Some people might opt for a Q&A session. Past adult parties we’ve performed at included a 21st birthday masquerade ball, a 60th birthday lunch and a Christmas In July dinner in a restaurant! 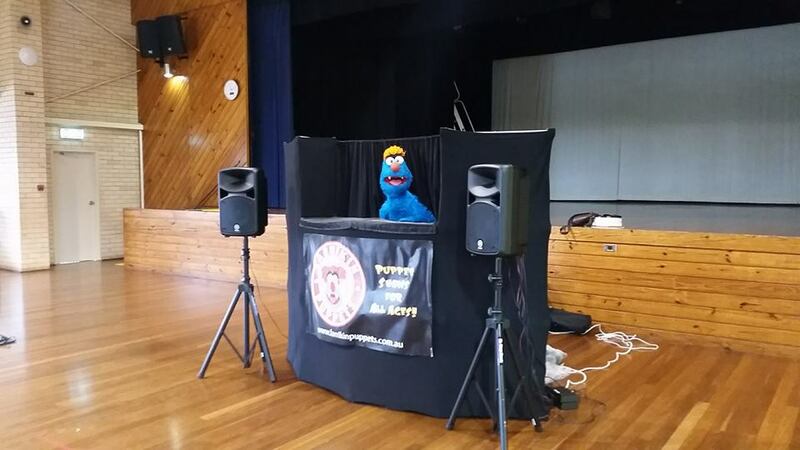 Judging by the laughter, applause and feedback we get from grown ups at kids’ parties and public events, it seems pretty clear that a lot of adults wish it was socially acceptable to book a puppet show for their grown up event! 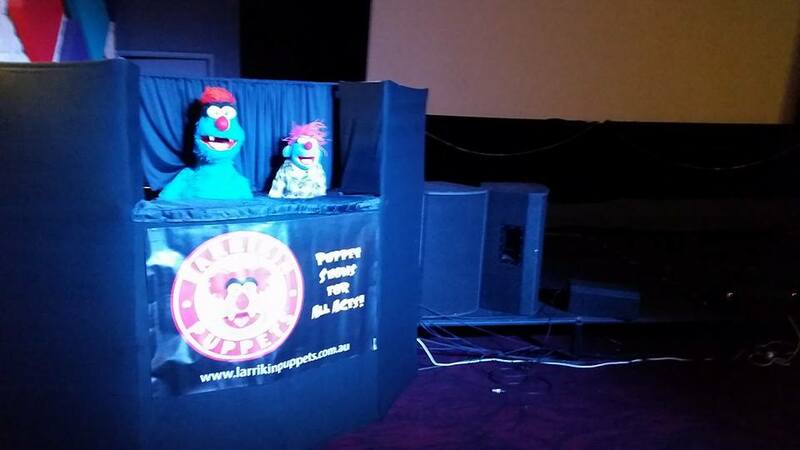 With Larrikin Puppets, there’s no reason why they can’t. The session lasts 45 minutes in total. Access to power: Required. For this show we use a powered P.A. system which has two microphone inputs for the two performers. We have a 20 metre power cable which can stretch from the yard into the garage, shed or house. 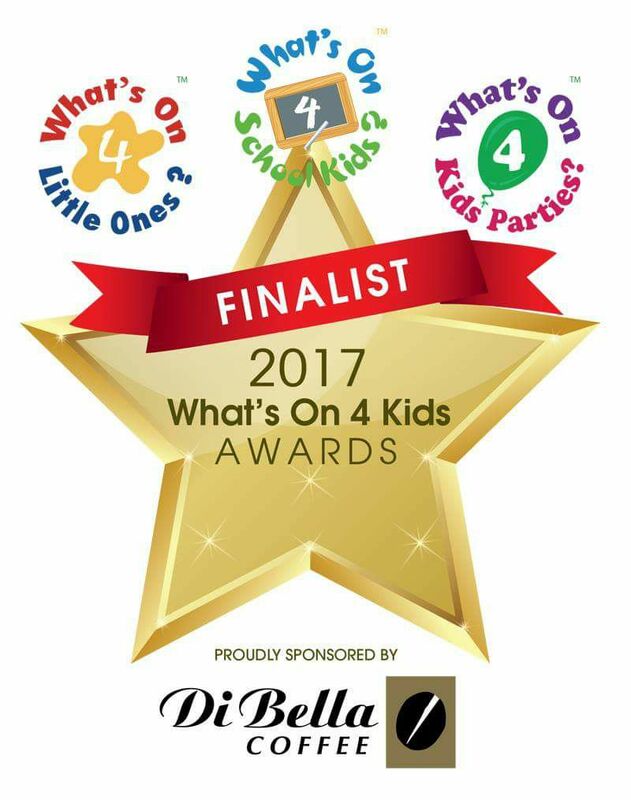 Venues: This show can be performed in back yards, front yards, garages, lounge rooms, restaurants, halls, clubs, pubs and play centres, as long as there is access to power. Please note: Most council parks are not powered sites. Puppeteers arrive about 1 hour before the puppet show’s starting time to set up the stage, sound equipment, props and puppets. The show (as described above) is performed for 30 minutes, followed by the 5 minute “how the puppets work” demo and the 10 minute meet-and-greet and photo opportunity with Troggg. The puppeteers then pack down the stage and other equipment. 10 minute puppet meet-and-greet / Photo opportunity with Troggg. Time allowance for travel, load in, set-up and pack-down of the puppet stage and sound equipment. Brett is fully insured, professional, and punctual. 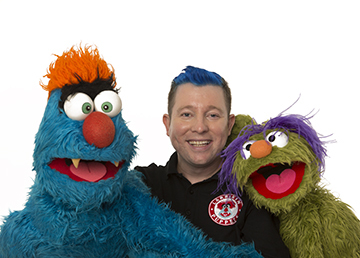 For more information on grown up puppetry performances Brett has been involved in, please refer to the drop down menu items about corporate events, our puppet MC/compère service, and our comedy theatre productions, Thank Troggg You’re Here: A Puppet Impro Spectacular! and Show Of Hands. Brett was also a puppeteer cast member, and puppetry consultant with Brisbane Arts Theatre’s 2012 and 2014 productions of Broadway’s Avenue Q (trailer here), as well as Sunnybank Theatre Group’s 2017 production and Shoebox Theatre Company’s 2018 production in Toowoomba. 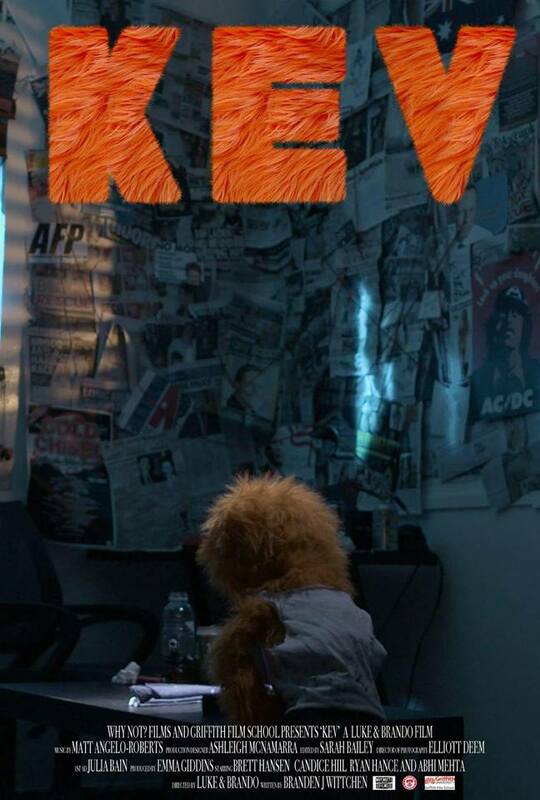 Brett also worked on puppet film projects for adults such as Cluck: The Web Series, Kev, and Heart of a Thousand Souls.